Our sisters can be found in a variety of services to the spiritually, physically, and mentally disadvantaged. 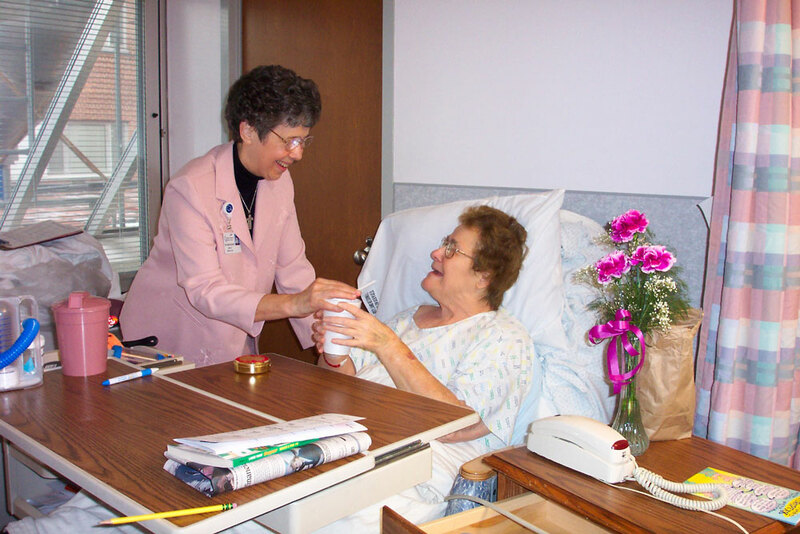 Our presence is found in nursing homes, such as the Mont Marie Rehabilitation & Healthcare Center, hospitals and in all aspects of the healing ministries. We serve as administrators as well as nurses, CNAs, home health aides and visitors to the homebound. We are “serving the dear neighbor” wherever we can be Christ’s healing compassionate presence to the sick and suffering, especially those with cancer, and HIV/AIDS.